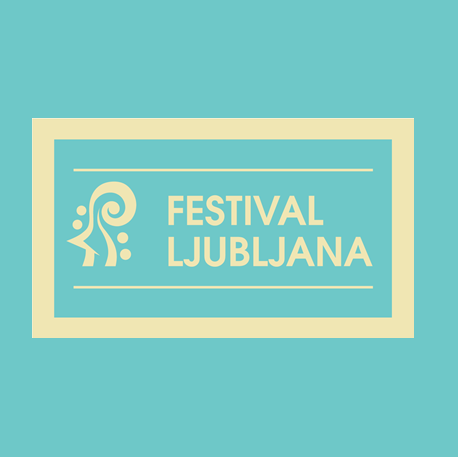 With its top-quality cultural content, Festival Ljubljana not only cultivates and educates, raises cultural awareness and contributes to general knowledge, but also provides experiences that broaden one’s mental framework. It gives talented young artists the opportunity to present themselves to wider audiences. For over two decades, it has run the Mladi virtuozi, or Young Virtuosi, international music cycle, which showcases talents and winners of various competitions and, at different times, has also supported a large number of youth orchestras and organised masterclasses. 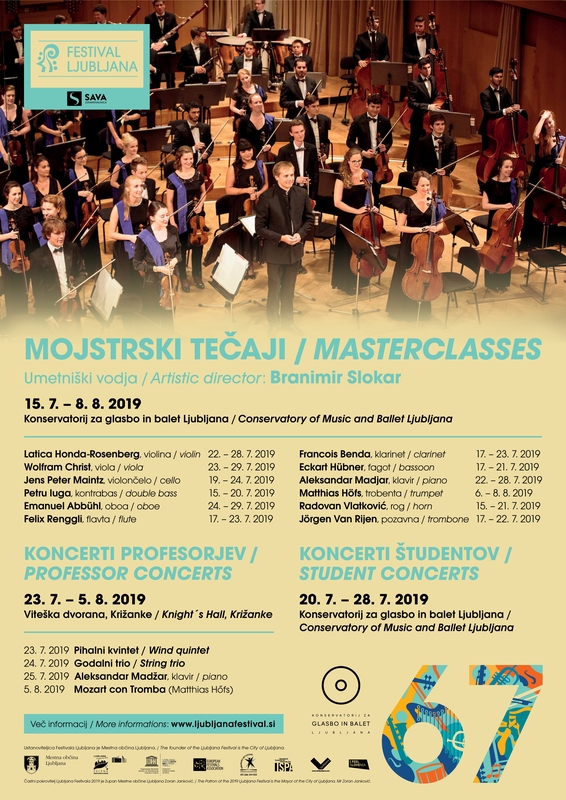 This year, masterclasses will be held at the Ljubljana Conservatory of Music and Ballet between 15 July and 8 August as part of the 67th Festival Ljubljana. The artistic director for the masterclasses will be Branimir Slokar, who has nurtured a huge number of exceptional trombonists throughout his long and fruitful career. Young musicians will be able to attend the masterclasses, led by 12 internationally renowned teachers, as soloists or as members of a chamber group: prof. Latica Honda-Rosenberg (violin), prof. Wolfram Christ (viola), prof. Jens Peter Maintz (cello), prof. Petru Iuga (double-bass), prof. Aleksander Madjar (piano), prof. Emanuel Abbühl (oboe), prof. Felix Renggli (flute), prof. François Benda (clarinet), prof. Eckart Hübner (bassoon), prof. Matthias Höfsu (trumpet), prof. Radovan Vlatković (horn), prof. Jörgen Van Rijen (trombone). The teachers will introduce themselves at a series of four concerts at the Knights’ Hall between 23 July and 5 August, while the most gifted pupils will perform on stage at the Ljubljana Conservatory of Music and Ballet between 20 and 28 July.